My Ultra Interactive Online Portfolio. 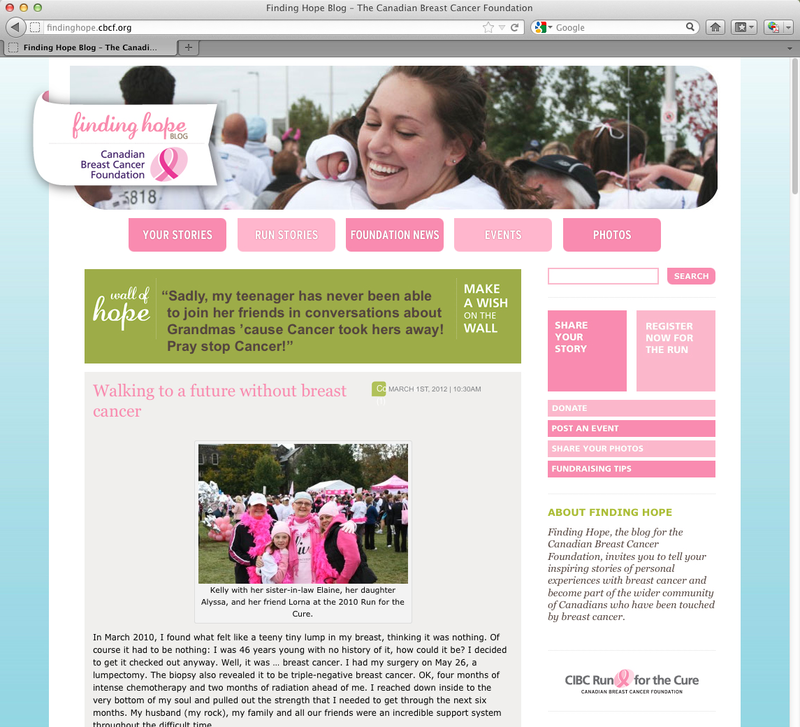 Branding and website design for the “Finding Hope” blog, an online community of expression and support among breast cancer survivors, family and friends. A project of The Canadian Breast Cancer Foundation. Custom-tailored branding, print, and web design.